The price of Bitcoin barely moved all week, and the grades of our contestants likewise barely moved. Both predicted a quiet time last week, and it was pretty quiet. When will this quiet time end? Is it possible to tell in advance? 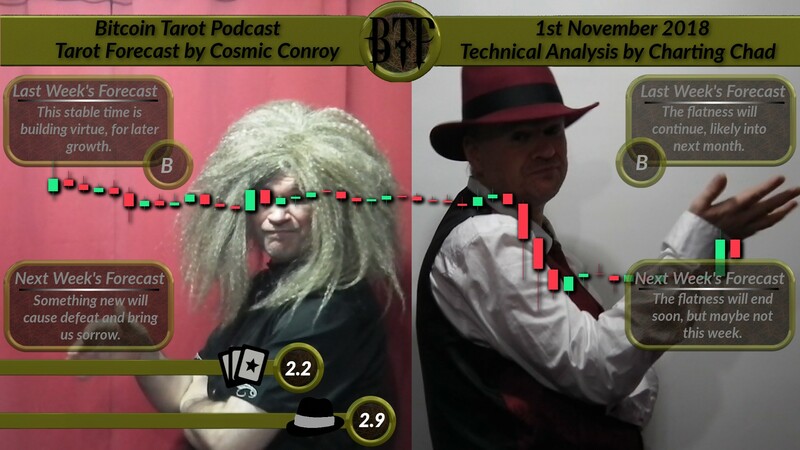 Does Technical Analysis do any better than the Tarot? [Tarot-Synopsis] Something new will cause defeat and bring us sorrow. [TA-Synopsis] The flatness will end soon, but maybe not this week.